The American medical profession is aging at a rapid rate. The graying of the profession has prompted concerns about quality of care and patient safety. It's a sensitive issue and it can pit potential age discrimination against quality care. 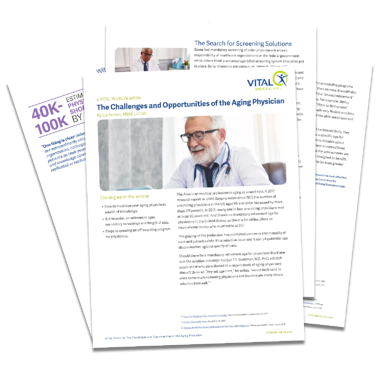 How to maximize your aging physician's wealth of knowledge. A discussion on retirement ages, mandatory screenings and length of stay. Steps to creating an off-boarding program for physicians.